E3 2015 was like a fan fiction gone wild for many Square Enix fans, and the Distant Worlds concert during the second night of the show was like the proverbial kupo nut on top of a delectable JRPG sundae. Even conductor Arnie Roth couldn’t help but mention the “big news” coming out of E3, referring of course to Sony and Square Enix’s announcement of a Final Fantasy VII remake. The cheers from the excitable crowd were followed by a collective shout of “thank you!” to the Square Enix staff present at the show. It’s become a tradition to have videogame music concerts happening alongside the insanely busy week of E3. 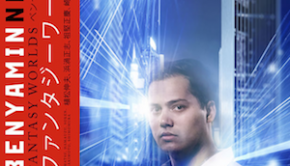 Both Video Games Live! and The Legend of Zelda: Symphony of the Goddesses have done it, so it only makes sense for Distant Worlds – music from Final Fantasy to follow suit. The merch booth, primarily stationed right outside the Microsoft Theater’s entrance, was naturally packed with a line stretching as far as the eye could see. Once I made my way inside, I was a little surprised by the lack of cosplay among the attendees. Nevertheless, I did spot one Celes cosplay and it was as if an Amano sketch had come to life. Yes, I’m still kicking myself for not getting a photo. It was still surprising to see a lot of empty seats in the theatre given its location right next to the convention center. Nevertheless, there was more of a crowd here than at the Nintendo World Championships held on the same stage just three days before. After the Distant Worlds Philharmonic filed in, Arnie Roth appeared onstage with Final Fantasy XII composer Hitoshi Sakimoto in tow. Roth would later reveal that many Square Enix employees were in attendance, including Final Fantasy XIV director Naoki Yoshida. In the usual fashion, everything kicked off with the series’ “Prelude,” followed by “Liberi Fatali,” a crowd favorite. It’s also customary for a Distant Worlds show to play the short victory jingle so iconic to the series. This show however gave it a little twist, resulting in an extended version of the anthem associated with the first six games, as well as IX and XII. In the future I would love to see VII, VIII and X’s variations amended to this arrangement. Unlike the Newark, NJ shows I attended back in January, there were no giggles emanating from the LA crowd whenever the old-school Final Fantasy sprite animation was shown on the video displays. I’m somewhat thankful for it, as it allowed me to listen to the orchestra’s Final Fantasy VI Character Medley of Terra, Kefka, Celes and Locke’s themes without people’s audible judgment of the older games’ graphical capabilities. “Balamb Garden” elicited a huge reaction from the audience. It was a treat to hear this one again, as the additional strings really add to the tune’s soothing main melody. Of course, it isn’t a Final Fantasy concert without some form of the cutesy “Chocobo” theme, and the orchestra delivered on that front with “Swing de Chocobo,” based on Final Fantasy X’s “Brass de Chocobo” albeit with even snazzier jazz drumming. It was a shame I couldn’t see the drummer very well from where I was sitting – he deserved a spotlight for this part of the performance. 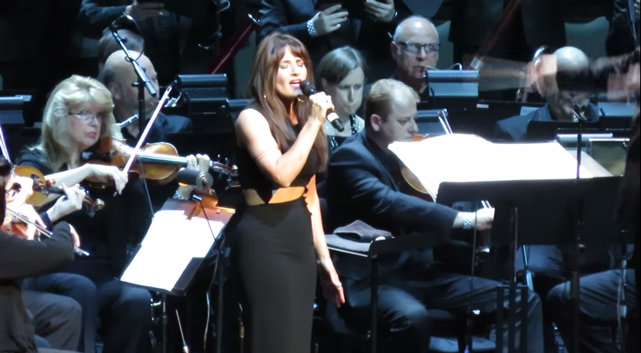 Eventually Distant Worlds regular Susan Calloway came onto the stage to perform “Answers” from Final Fantasy XIV, and despite having little attachment to A Realm Reborn, I was taken aback by her powerful falsetto and the low, moody male choir that kicked off the arrangement. Following intermission, the orchestra resumed with a hair-raising arrangement of “Jenova Absolute” from Final Fantasy VII, an unexpected but welcome addition to the setlist. The choir delivered yet again with intense chanting in unison with the orchestra. “You’re Not Alone” from Final Fantasy IX was also nice surprise to hear at the show. The orchestral swell of this arrangement gave me an Ennio Morricone vibe and served as a great demonstration of how a live orchestra can really improve the overall feel of a track. 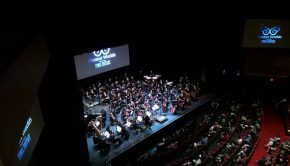 At this point Roth had announced that Distant Worlds was hitting over 100 concerts, and so to celebrate they played an arrangement never before performed in North America: a medley featuring battle themes from nearly every main title in the series. I’ve got quite a knack for JRPG battle themes, so naturally it was difficult to contain my inner fanboy when Roth introduced this piece. This nearly 15-minute medley started out with the familiar “Prelude” which grew more foreboding as low cello notes came in. This segued into “Battle Scene” from Final Fantasy. I feel there was a missed opportunity here to make the three staccato notes stand out with proper orchestral hits. These moments were instead left to faint chimes. This weaved into “Battle Scene 1” from Final Fantasy II and subsequently “Battle 2” from Final Fantasy III which were both masterfully done. The climactic moment of “Battle 2” was appropriately handled by a bombastic horns section that gave me chills. Perhaps not as many chills as the next moment, however. “Battle 2” from Final Fantasy IV continues to be my favorite “boss” theme in the series, and the sense of drama and the blossoming outro blew me away. This segued into Final Fantasy V’s “The Last Battle,” which coincidentally is also my favorite final battle theme from the series. While I understand the need to truncate themes to fit in such a long arrangement, I had really wished this theme wasn’t the one to get the sickle. A lot of the buildup of the original was lost here. Final Fantasy VI’s “Decisive Battle” fared better, sporting a neat use of a piano lead during the verse. The piano then carried the jumbo medley into Final Fantasy VII’s “Fighting,” which got a lot of people hollering. A surprisingly subdued arrangement of Final Fantasy VIII’s “Force Your Way” followed and was primarily handled by piano; perhaps as a way to allow the rest of the orchestra (and the audience) to breathe for a moment. “Boss Battle” from Final Fantasy XII could have been the greatest moment in this entire medley, but they surprisingly eschewed its epic crescendo, opting instead to dive right into “Blinded By Light” from Final Fantasy XIII. 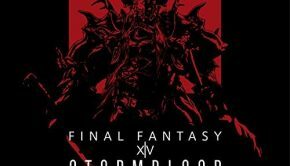 Despite Roth describing the medley as including Final Fantasy XIV, only footage was shown of it as the piece ended with a reprise of the “Prelude.” A bit of bummer, as I was personally crossing my fingers for A Realm Reborn’s “The Land Burns” to cap it all off. The show wrapped up with the “Main Theme” of Final Fantasy, with lots of rejoicing from the crowd as each of the series’ composers’ names popped up during the video credits sequence. Naturally the last piece of the night was from the well-loved and overplayed “One Winged Angel,” but I thank Roth for changing things up with the piece every now and then. For this show, Roth demanded a “double forte from the crowd” during the chant of “SEPHIROTH” as a way of supplementing the chorus. 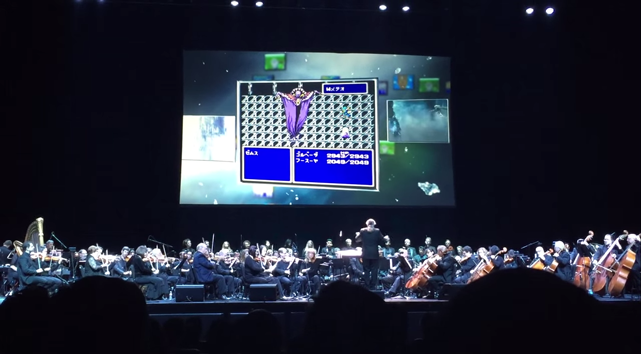 “One Winged Angel” was performed at a noticeably faster tempo, and it was amusing to see Roth occasionally turn to conduct the audience along with the orchestra. While I didn’t get as emotional as I did during the Newark, NJ show (Final Fantasy VI’s “Opera” will do that to me), the Los Angeles Distant Worlds show was a memorable night in the middle of an incredibly exhaustive week of videogame news. 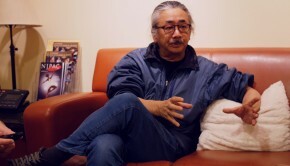 What better way to break away from the craziness of E3 than with a celebration of Nobuo Uematsu, Hitoshi Sakimoto and co’s remarkable contributions to the industry? Posted on July 8, 2015 by Patrick Kulikowski. Last modified on July 8, 2015. Patrick Kulikowski I'm a Rutgers University graduate with aspirations of joining the game industry. I have a strong love for videogames and their music. When not serving as a contributing writer for Game Music Online and Gameranx, you'll see me working on my game music drum cover project "VGdrum" and managing my Breath of Fire Facebook, Twitter, Instagram and YouTube fan pages.